A prequel of sorts to Thai martial arts star Tony Jaa’s breakout film, Ong Bak 2 is infused with an urgency and relentlessness that few contemporary action films have. As a co-director, actor, and choreographer, Jaa is a born showman whose biggest mistake in making Ong Bak 2, a dream project that drove him to an emotional and financial breakdown, was refusing to slow down long enough to realize that not every scene needs to be spectacular. Still, Tony Jaa is Tony Jaa and here he displays grace in even the most unpolished scenes of violence (look out for those crocodiles! ), incurring only negligible damage on his magnum opus. 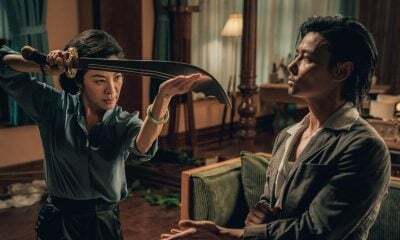 Jaa’s aggressive fighting style is as much a part of his style of choreography, making it fitting that the film’s ambling plot strains a traditional (i.e. nationalistic), by-the-numbers plot through a stream-of-consciousness narrative. The viewer is plunged into the thick of the story and only helped out as the film goes: We meet a young Tien (Natdanai Kongthong) just as he’s being chased down, sold into slavery, then thrown to the crocodiles by a group of slave-holding baddies. Some guy, who we later learn is a leader of a group of local rebels, gives Tien a knife to help him fight for his life because he, like the viewer, must fend for himself now and expect answers later. Tien will learn who he is and what he is destined to become in due time, making this opening scene a primer on how to watch the film. 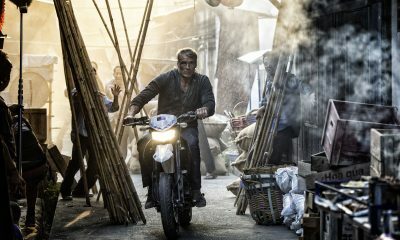 It’s easy to get swept up in the film’s hyper-decadent sets, but Jaa’s tendency to dogpile fights on fights and symbols on symbols—elephants, ninjas, and tragic sacrifice, oh my!—threatens to topple the film over at the end, with a climax that steadily mounts but suddenly just leaves the viewer dangling. Jaa is too dedicated to reckless motion to give any signs that he knows what’s coming next, as in the final fight scene where he fights countless underling assassins, then an elephant shows up, then his doppelganger, then some more thugs. And he probably didn’t; filming halted halfway through production because Jaa was losing money and his emotional well being at an alarming rate (he even appeared on television looking like a hot owl pellet, apologizing profusely to his fans and the film’s producers). 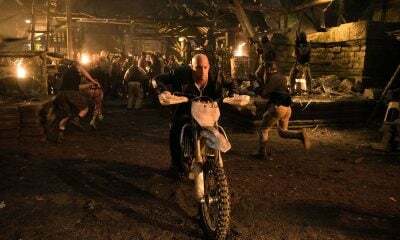 Still, messy as the film may be, when Jaa’s in his element, which is for the majority of the film, he flits between opponents and bashes heads in with charm and energy to spare. Here’s hoping the next installment in the series is more like this shaggy dog than the easily forgettable first installment in the franchise.